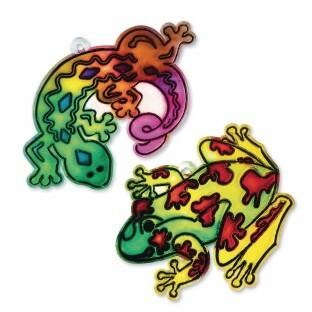 Frog measures 4" x 3-1/2"; Gecko measures 5-1/8" x 3-1/8"
This is my camp staff's favorite craft. They're easy to paint the kids like them they turn out really well and they're easy to clean up. We do almost fifty different crafts over the summer so for this to be a favorite says a lot!